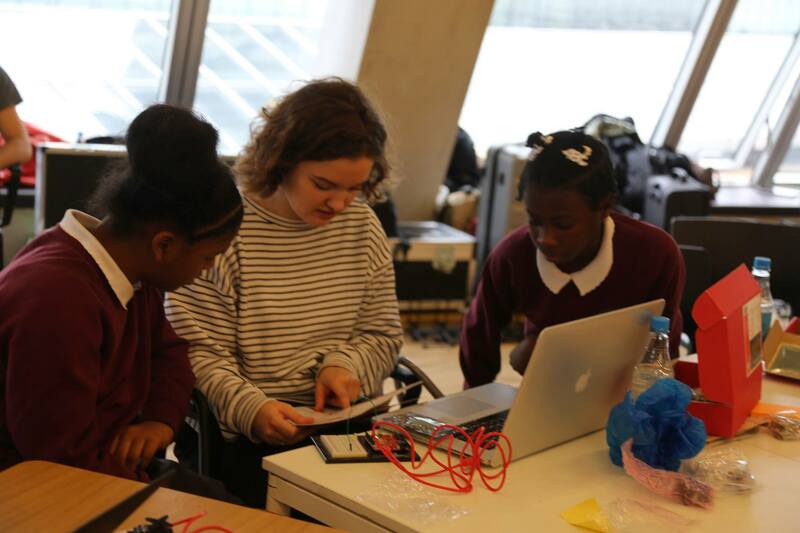 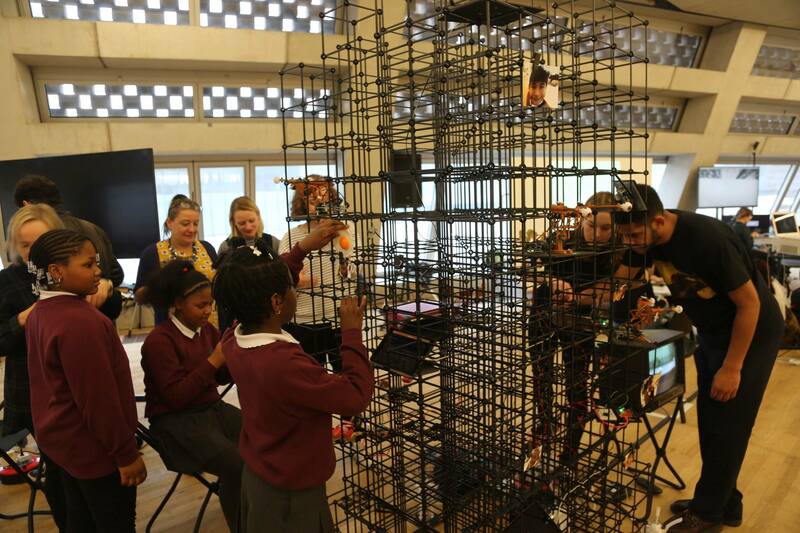 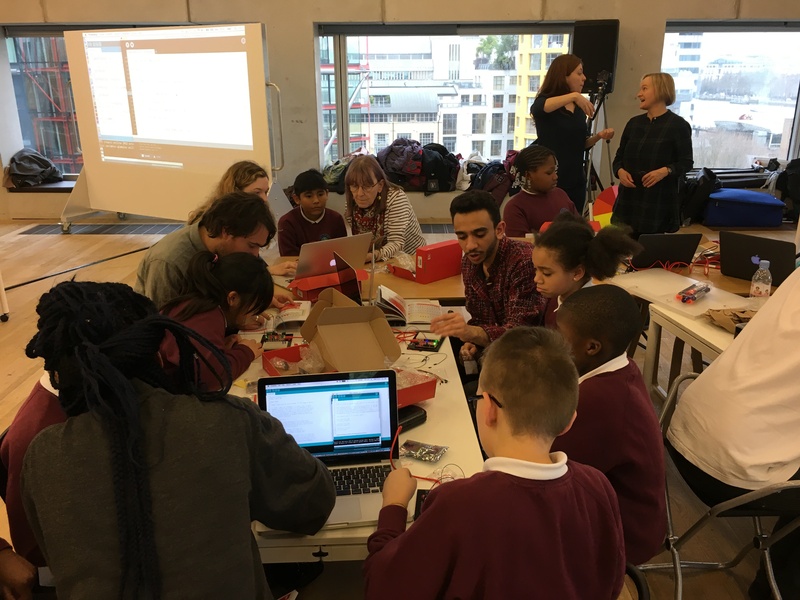 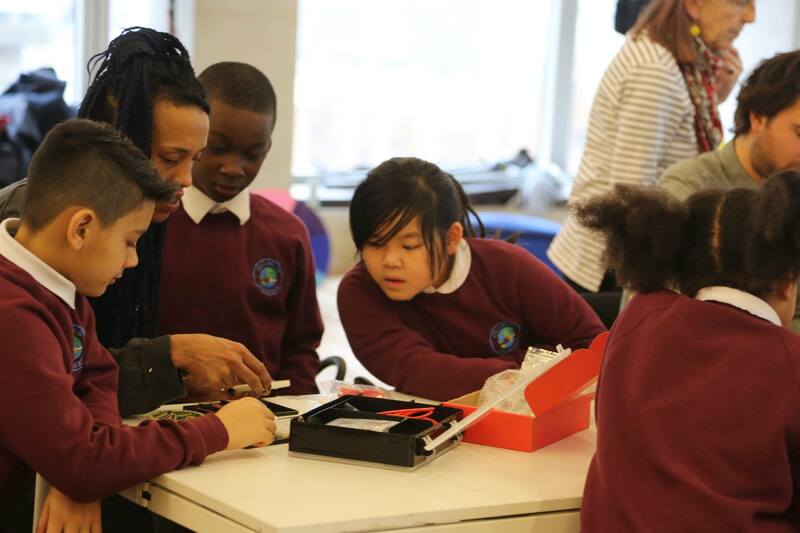 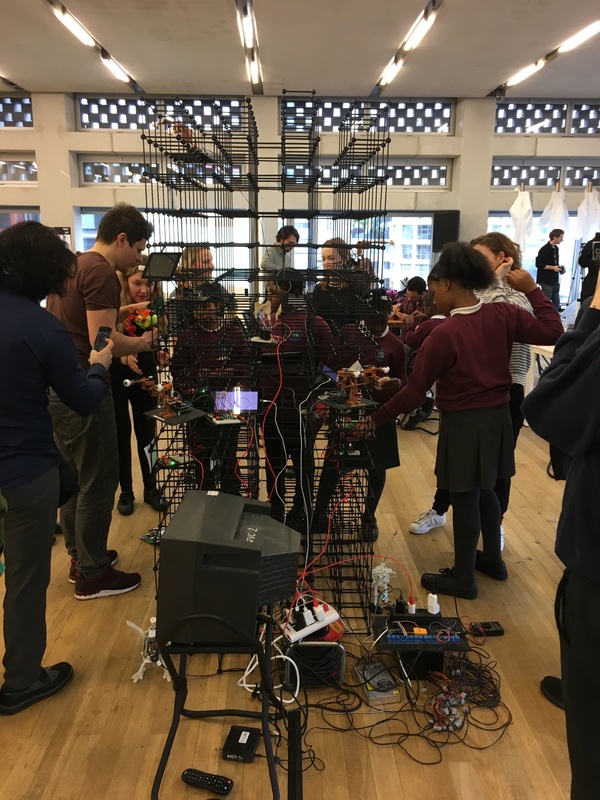 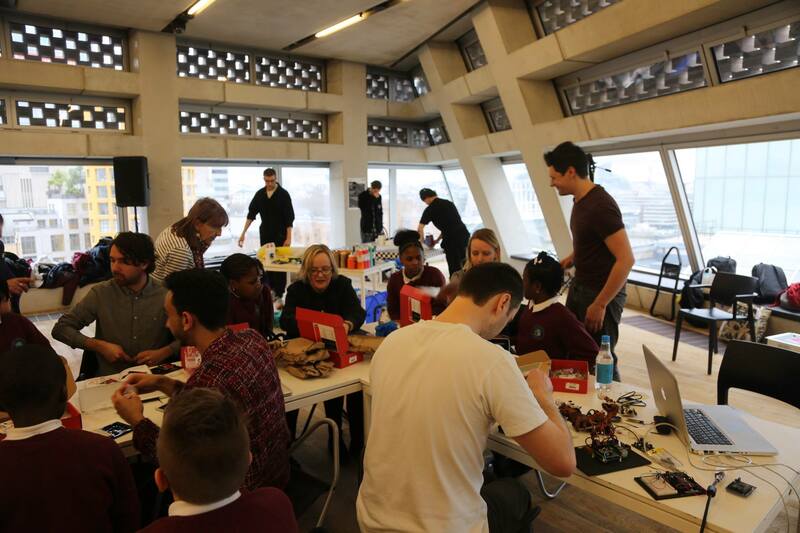 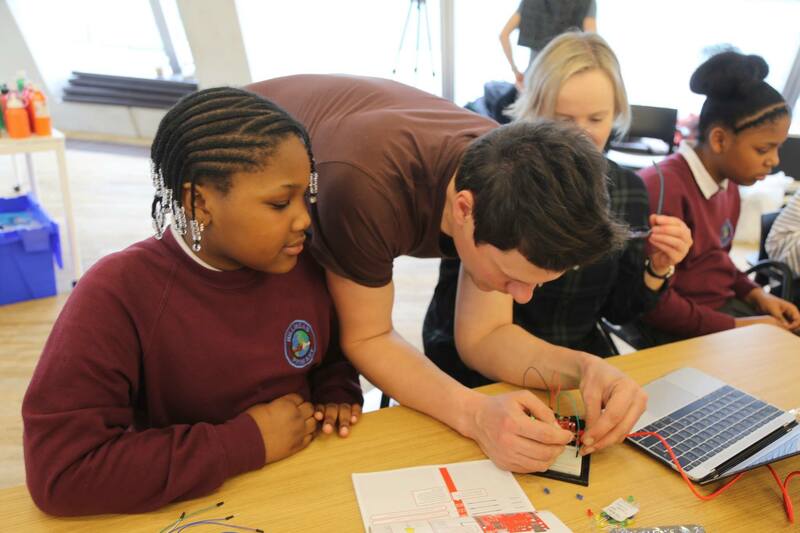 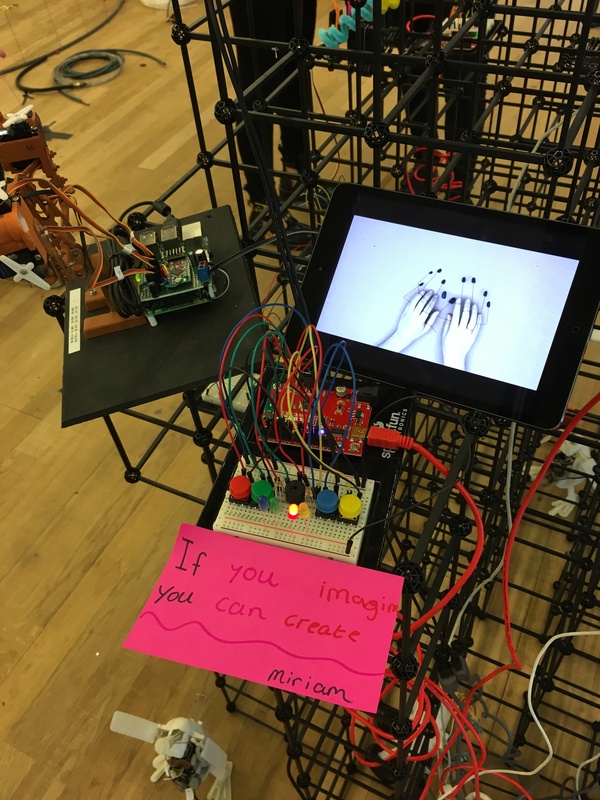 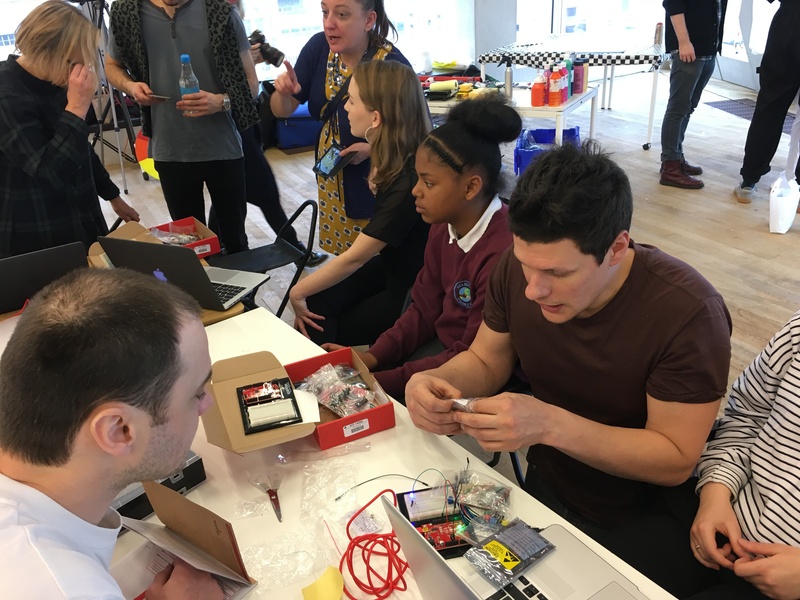 CYLAND MediaArtLab partnered with the Digital Maker Collective for a workshop at Tate Modern on February 22, 2017. 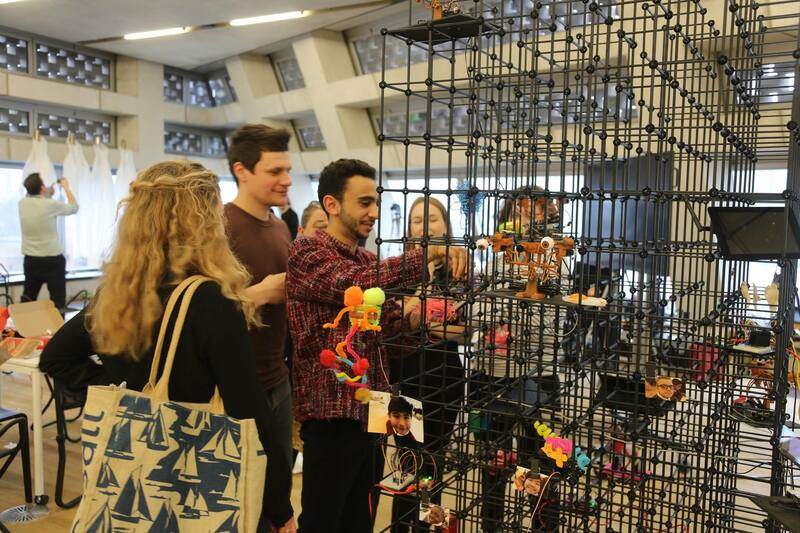 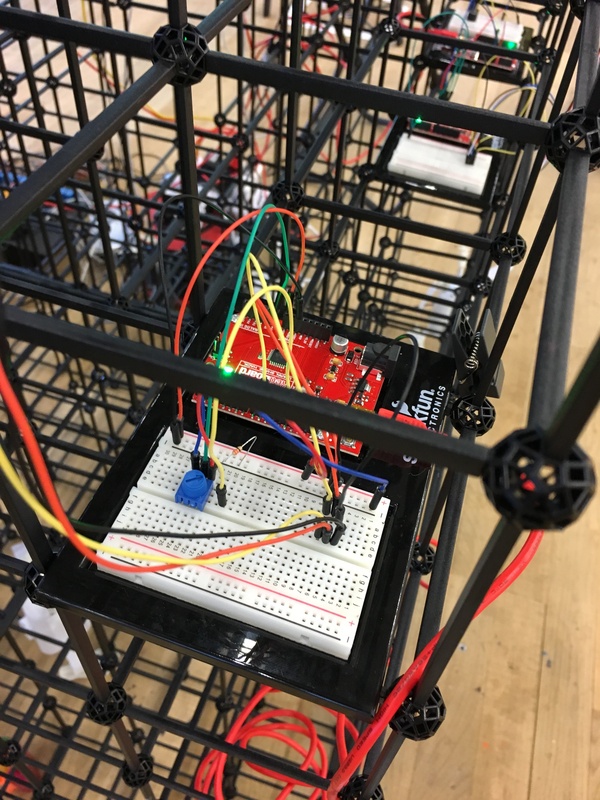 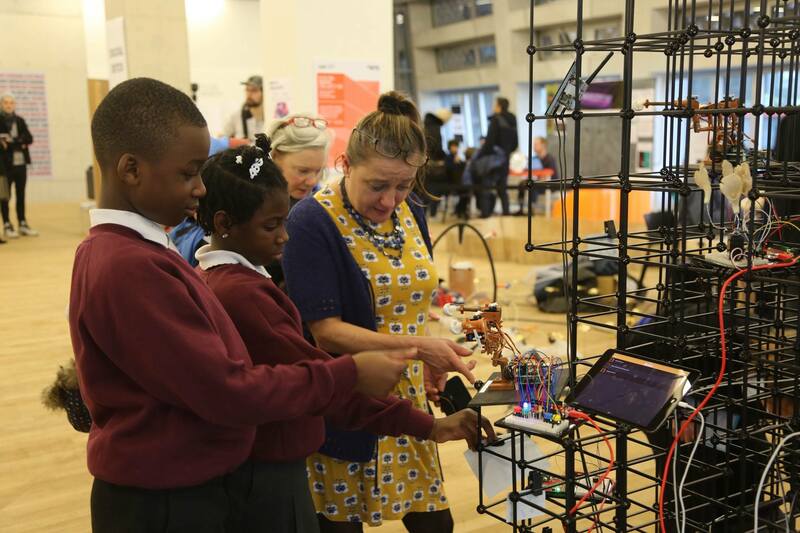 The Digital Maker Collective are a group of artists, designers, staff and students from the University of the Arts London (UAL) who explore emerging digital technologies in arts, education, society and the creative industries. 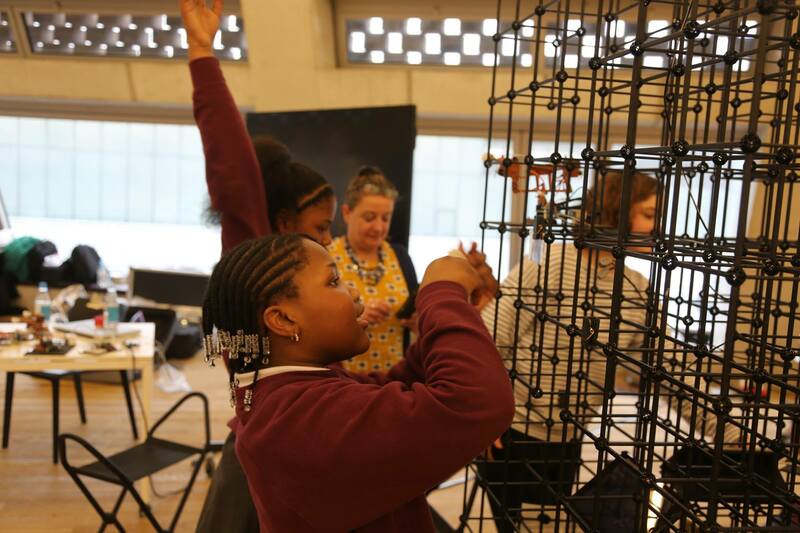 Our partnership continues within the framework of Tate Exchange after the collaborative workshop for children organized in January, 2017 in Brixton. 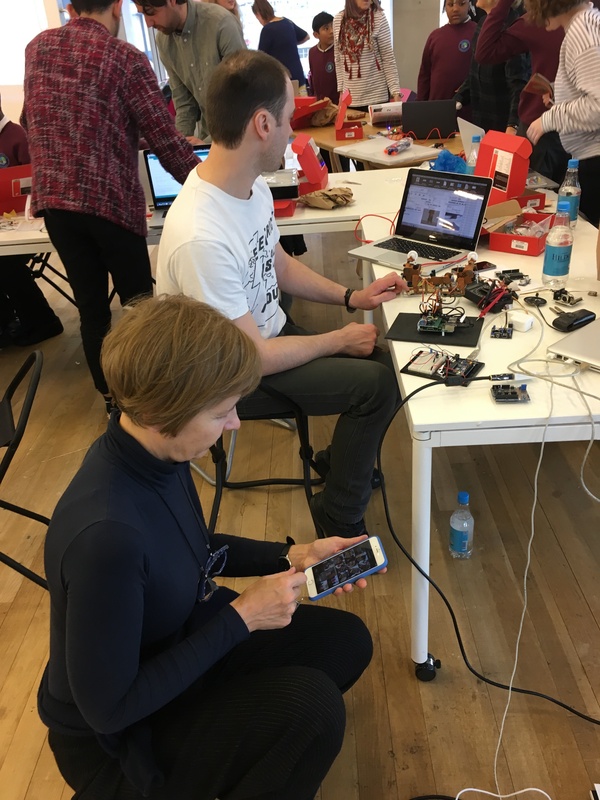 At the centre of the event was a large participatory Digital Maker Base Camp, a space to develop agile and experimental projects led by members of the Collective. 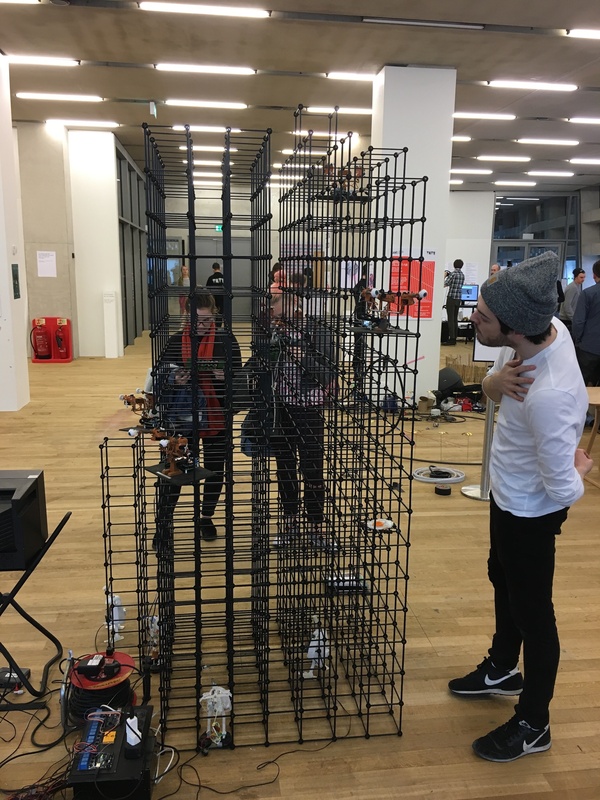 The camp evolved and responded to themes, public interactions and invited guests activities, interventions, debates and performances. 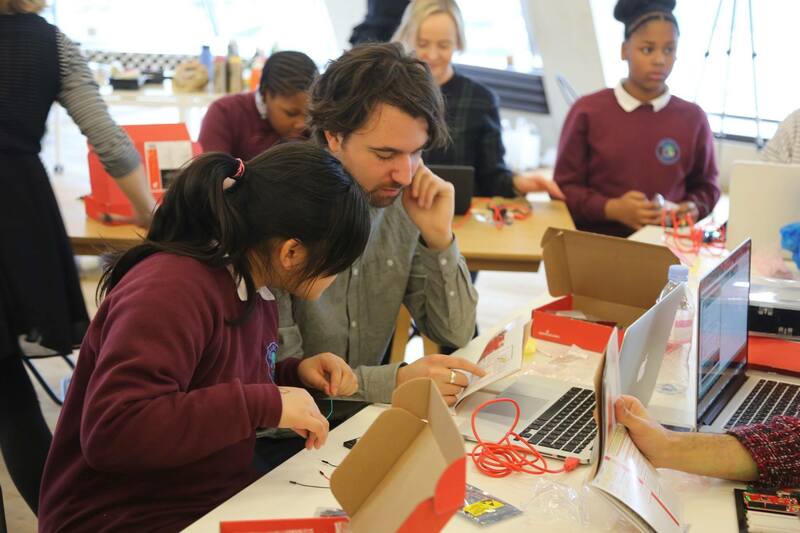 CYLAND MediaArtLab artists Anna Frants, Alexandra Dementieva, Phillip Avetisov, Alexey Grachev, and Sergey Komarov conducted a workshop on making and coding open source interactive projects with Arduino platform. 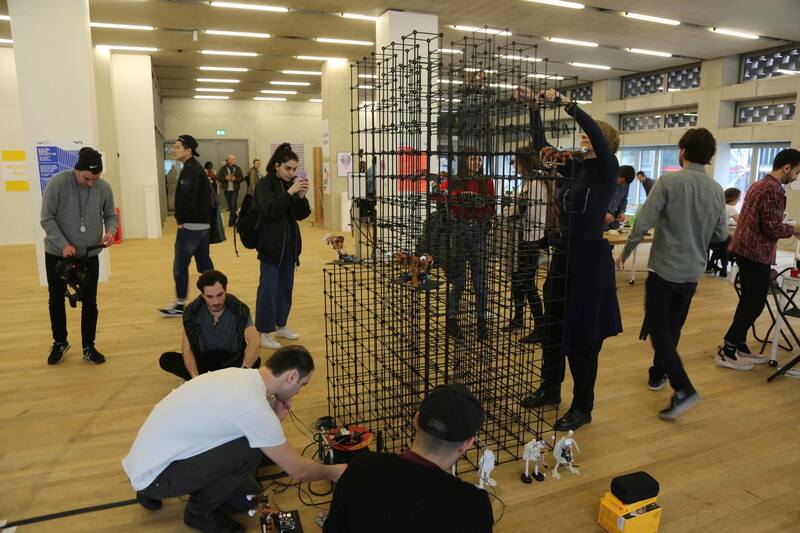 The workshop provided an overview of various robotic functions based on Frants’ work “No. 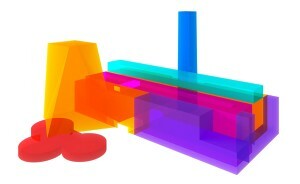 0”, from the artist’s series “Explosion of a Can of Condensed Milk After Water Has Evaporated”. 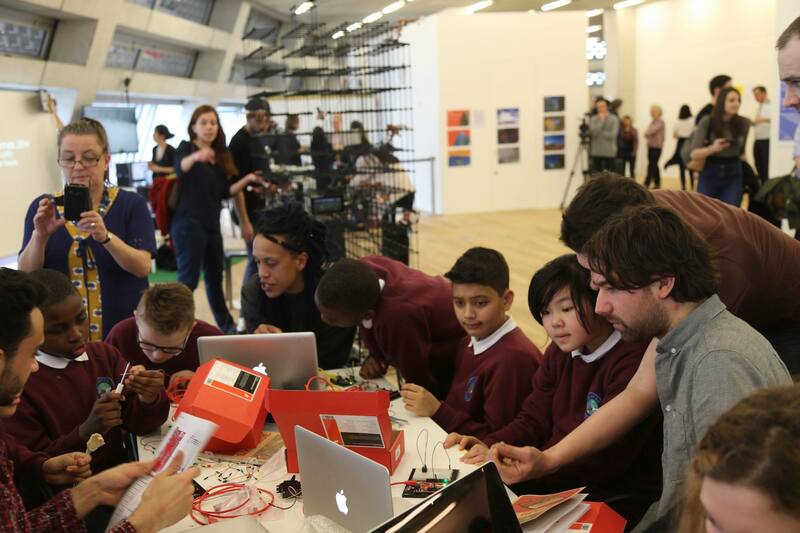 This event has been programmed by Digital Maker Collective, a Tate Exchange Associate. 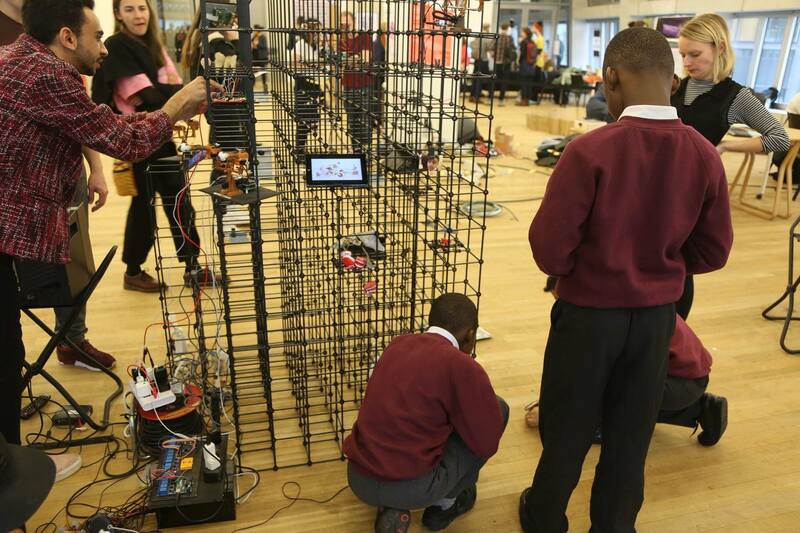 from the series “Explosion of a Can of Condensed Milk After Water Has Evaporated”.